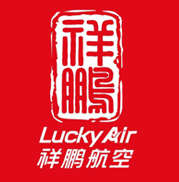 Yunnan Lucky Air LLC. (Lucky Air) is one of the subsidiaries of HNA Group headquartered in Kunming, the People’s Republic of China, operating scheduled flights out of Kunming Changshui Airport and Chengdu Shuangliu Airport. Lucky Air started Operations on 26th Feb 2006, and as of Mar 2017, it owns a fleet consisting of 30 Boeing 737NG, 11 Airbus 319/320 aircraft & 1 Airbus 330 (2 fleets in order), which is earning 13% of civil aviation market share, making Lucky Air the second ranked airline in Yunnan Province. 4 Applicant holds a valid Airline Transport Pilot License and the corresponding class 1 medical certificate as well as the Grade Certificate for each type of aircraft’s operation. 8 Applicant has B737 or A320 flight experience within 12months or undergone the Proficiency Check in the recent 6 months or with the record of 3 time flying and landing within the recent 90 days. 9 Applicant has completed at least 3,000 hours’ flight as a captain and B737(PIC) or A320(PIC) 500 hours’ flight and is above 3 years’ service in transportation enterprise of civil aviation. Applicant shall hold a license of ATPL with the current effectiveness and issued by member states of ICAO as well as the current valid Grade Certificate for B737 or A320 aircraft. The medical certificate is within the validity of 6 months and flying experience as a captain forB737 or A320 within 12 months.